◆class hours of QMUL teaching major core modules (824) take 30.1% of class hours of total modules (2738). Physical Education is compulsory module in the first to the fourth semester, taking 1 credit every semester. Students can freely choose different module according to their majors, physical conditions, interesting and physical basis. A. Scientific literacy modules:subjects on natural science such as introduction to aeronautics, astronautics and navigation, environment, biology, etc. Students must take one module among “An Introduction to Aviation”, “An Introduction to Astronautics”, and “An Introduction to Marine Navigation”. Computer fundamentals are a compulsory module. B. Modules on economics, management and law:including economy, management, legal education, etc. C. Humanities modules:including philosophy, ethics, history, culture, language, literature, society, aesthetics, life and development, etc. D. Art literacy modules:students can choose modules form “An Introduction to Art”, “Music Appreciation”, “Art Appreciation”, “Film Appreciation”, “Drama Appreciation”, “Dance Appreciation”, “Calligraphy Appreciation”, and “Chinese Opera Appreciation”, among which “The Presentation of the Art of Peking Opera” is compulsory. It issuggestedthat students should choose English taught modules, from all four categories above. Each module offered in each semester will be included in the course selection manual. Students can participate in a variety forms of scientific research training including innovative research programmes, academic competition, innovative and business training plan for college students, academic competitions, “Peak Experience Plan”, social research, and scientific research project. 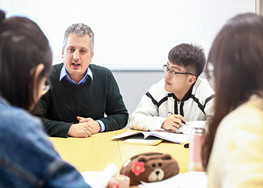 Students are encouraged to participate in a variety forms of central practice such as overseas practice, international internship, winter and summer camp.